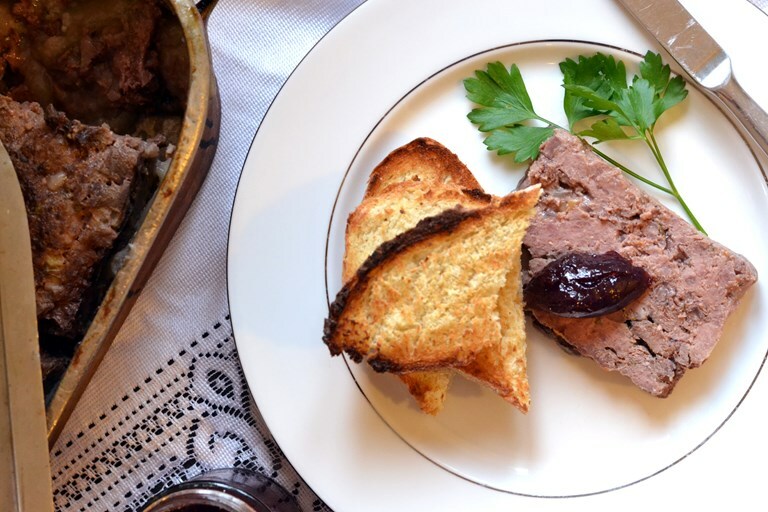 This delightfully heady wild boar terrine recipe is just the thing to rustle up for Christmas, either to be given as an edible gift to a lucky terrine-lover or serve as a punchy Christmas starter. Serve with a tasty chutney on some toasted sourdough toast. When it comes to Christmas feasting, many hands make light work and if you can get yourself organised, it is always a sensible idea to send people on assignment, prior to the big day. I am making up these people by the way. I am just trying to highlight that the division of labour can go a long way to make things stress-free; no matter how big or small your group may be. And another way of looking it, is that this distribution of food provides the perfect opportunity to use your imagination to gift friends and family as a whole. Sharing is caring and all that. 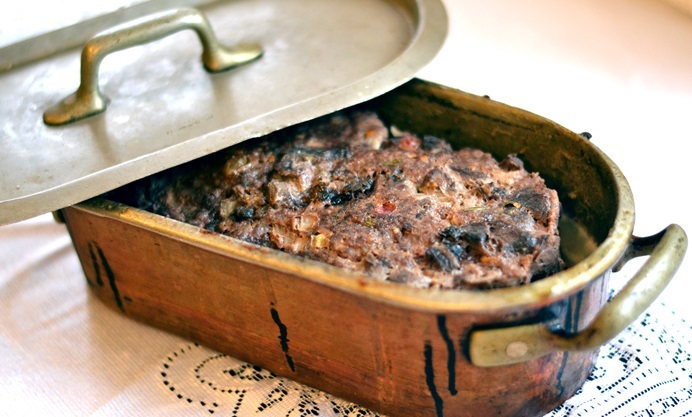 Something unusual is good too, an introduction of an ingredient that people might not be familiar with, such as wild boar. Like a lot of game, wild boar has quite a strong flavour and is very different in texture to its cousin, the pig. 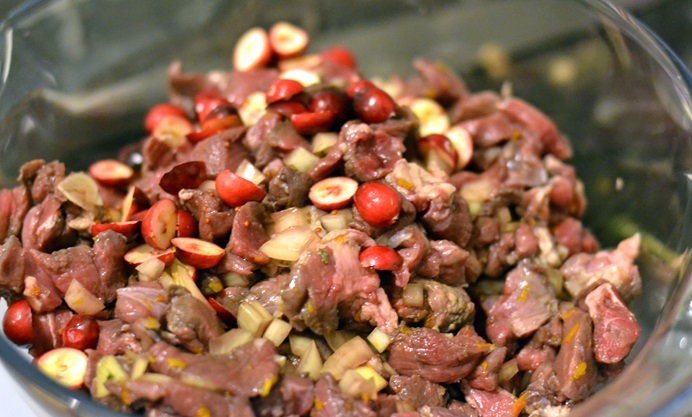 For a start, boar meat doesn’t contain half as much fat and is a lot denser as a result. But after slow cooking, it still does break down quite nicely and lends well to spice and citrus flavours. 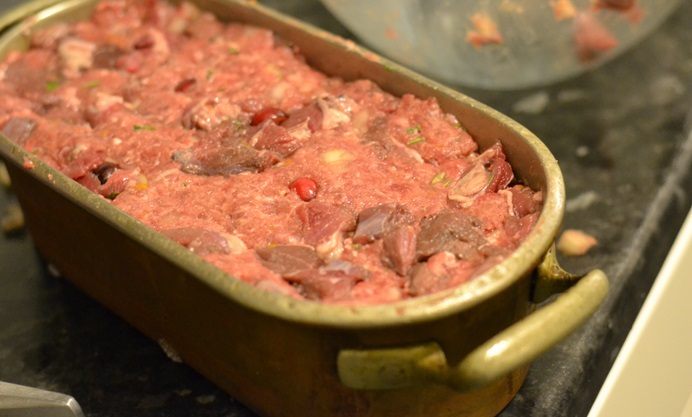 If turkey is going to be the main star, then a slice of this easy to make terrine would go down a treat as a starter, to kick off the tastebuds. Otherwise, you might want to save for a little bit later, for when the cheese board comes out. And I reckon after spreading a sizeable lump on some toasted sourdough, it would go really well with a glass of Tawny Port. Provided Lorraine remembered to bring a bottle that is.